Thousands of PA students use Osmosis for their coursework, exam prep, and practice. 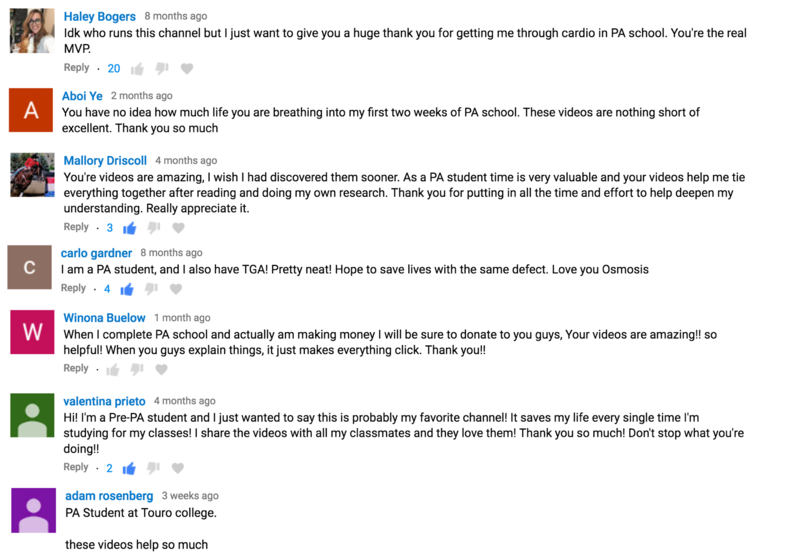 Osmosis is currently used by thousands of PA students around the world who rely on our videos, practice questions, flashcards, memory anchors, and platform features to thrive on their coursework, high-stakes exams like the PANCE, and clinical practice. 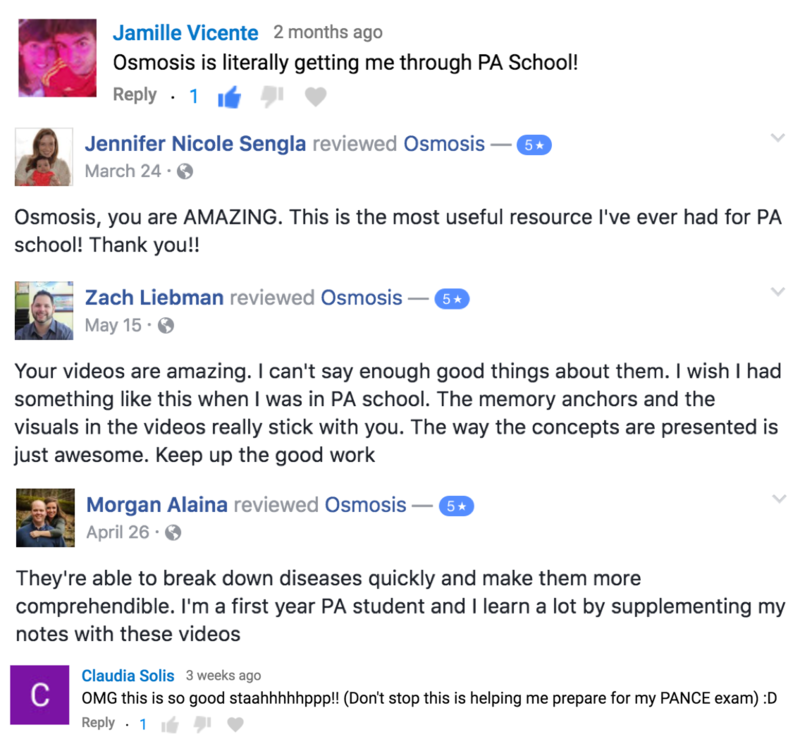 We also officially work with PA schools like Mercy College that provide access to the entire Osmosis Prime learning resource to their students!